short girl, long island. : Bobby Flay + America's Best Home Cook. Something you might not know: my guilty pleasure is watching Food Network. This is often where I get ideas for my kitchen creations. 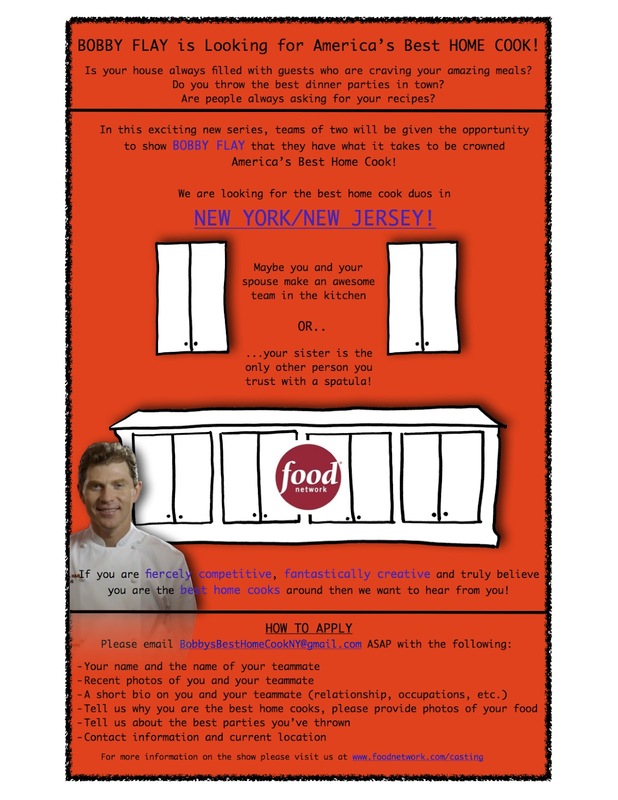 Well, this week, Food Network contacted me, looking for some of my New York readers to participate in the new show, starring Bobby Flay! If you are a fan of the Flay, I suggest you apply sooner rather than later. Here is the casting information. If any of you are chosen, let me know - I'll try + sneak on set with you to get the scoop + blog about it! I love the Food Network as well and am a fan of Bobby's. His burger place (in the Smithhaven Mall) is delightful. I have yet to go there. Heard its a must to get your burgers crunchified, though. Oh, and the milkshakes are supposed to be awesome as well. Any particular items you suggest?